With thousands of features, including hundreds of applications and extensions and a open source code system, makes it all the popular. Although there are hundreds of extensions, applications and it can be quiet difficult to pick the best ones. The most popular Chrome extension, with over 3 million users! Blocks the ads present all over the web. AdBlock for Chrome! Block all advertisements on all web pages, even Facebook, Youtube, and Hulu. Your browser is automatically updated with additions to the filter: just click “Add to Chrome,” then visit your favorite website and see the ads disappear! StayFocusd increases your productivity by limiting the amount of time that you can spend on time-wasting websites. You sit down at the computer, and you swear you’ll be productive. Next thing you know, its twelve hours later. You’ve checked your email, updated your Facebook status, browsed the trending topics on Twitter, read your RSS feeds, looked up your favorite band on Wikipedia, vanity googled yourself, and lost a week’s pay playing online poker. Mouse Gestures! Quickly and easily navigate webpages using the mouse or keyboard. Empower GMail, Google Mail & Google Apps emails with dynamic email signatures. Add Twitter, Facebook, Digg and more. There is a huge opportunity lost every time an email is sent without a person or a company’s brand information.With WiseStamp you can easily: Link to your Profiles – Facebook, Google+, Twitter, Linkedin, Skype, Gtalk , Promote your latest G+, Etsy, Pinterest eBay item, Blog post, Share your latest Twitter tweet, Funny Quotes, Green Footers, Legal disclaimers, Add your Company logo, use Multiple signatures and much more. It adds one-click subscription to your toolbar. This extension auto-detects RSS feeds on the page you are reading and upon finding one will display an RSS icon in the Omnibox, allowing you to click on it to preview the feed content and subscribe. The extension comes with 4 feed readers predefined (Google Reader, iGoogle, Bloglines and My Yahoo) but also allows you to add any web-based feed reader of your choice to the list. 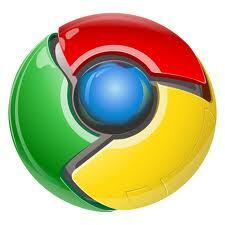 Google Chrome to Phone Extension enables you to send links and other information from Chrome to your Android device. This extension adds a button to Chrome that lets you seamlessly pushes links, maps, and currently selected text and phone numbers to your Android device.You also need to install the Chrome to Phone Android application on your phone. The application can be downloaded from Market (search for ‘Chrome to Phone’). Requires a mobile phone running Android 2.2 (“Froyo”) or later. Search as you surf! See jobs posted on Monster from the sites you visit and as you browse the web. Have you ever browsed a company or brand’s site and wondered what it would be like to work for them? Are they even hiring? Well, wonder no more! That’s right. With Monster’s Chrome extension, you’ll be in the know. How exactly? The extension automatically checks for jobs posted on Monster based off the sites you visit. If any jobs are found, you’ll be able to see them and apply. Hide all your tabs at once with one single button and restore them later. PanicButton makes it easier for you to hide all of your tabs at once just by clicking on a button. They are then saved as bookmarks in a separate folder. Afterwards, the PanicButton turns green and shows you how many tabs are currently hidden. Another click on the PanicButton restores all of the tabs you have hidden earlier.If you don’t want to restore your tabs just delete the “temporary Panic” folder in Chrome’s “Other bookmarks”-folder. Hope you find our list of use.